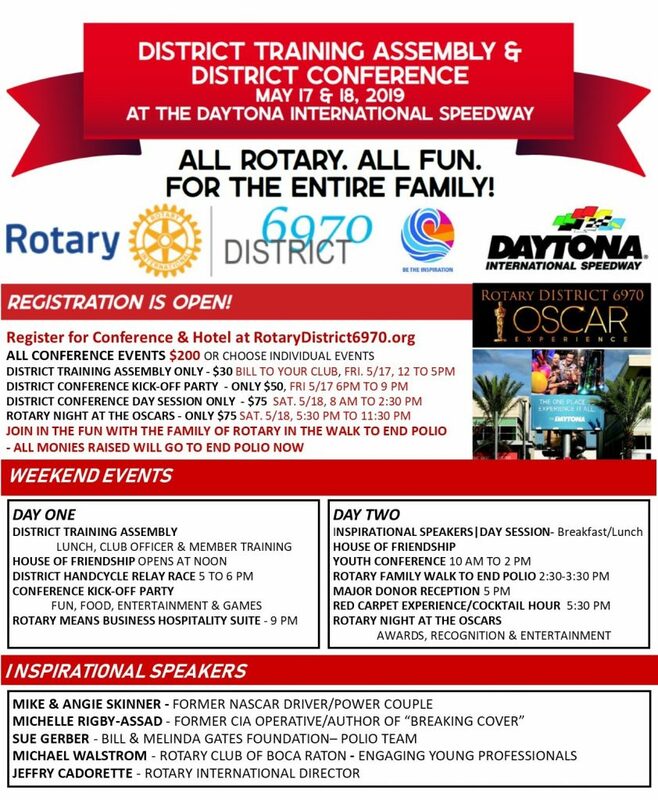 In 1911, Paul Harris, the founder of Rotary, wrote an article entitled “Rational Rotarianism” which can be summarized as follows: “Life in Rotary should be a rational mixture of business, civic activities, and good fellowship.” Rotary Means Business Fellowship was created to encourage Rotarians to network among themselves and to find ways to do business and support each other. An original intent of Rotary was for like-minded business professionals to amplify their fellowship and through association strengthen businesses as well as their communities. 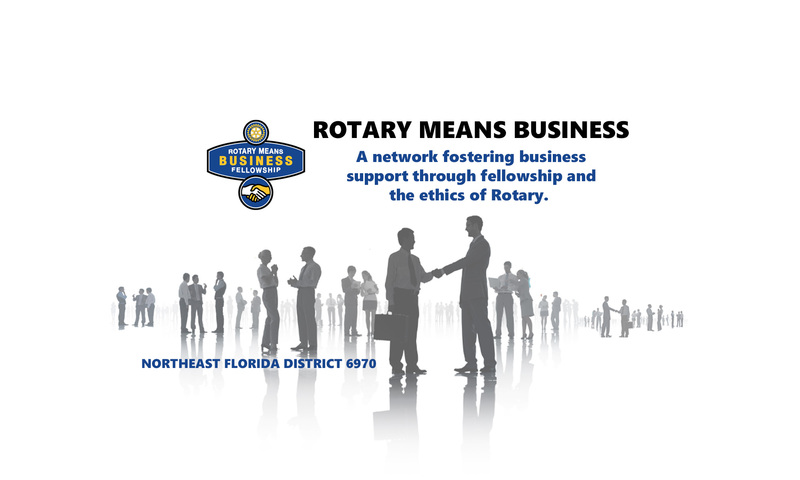 Rotarians in the 63 Rotary clubs of Northeast Florida District 6970 continue to build on those core principles put in place over 100 years ago. After all, who would you rather do business with?